Being a special needs mom is hard work. Between the sensory therapy, getting new diagnoses, fighting dr’s and insurance companies, living on a strict routine, or dealing with meltdowns, there’s a lot going on. It can be really difficult to get a lot of Bible study time in. 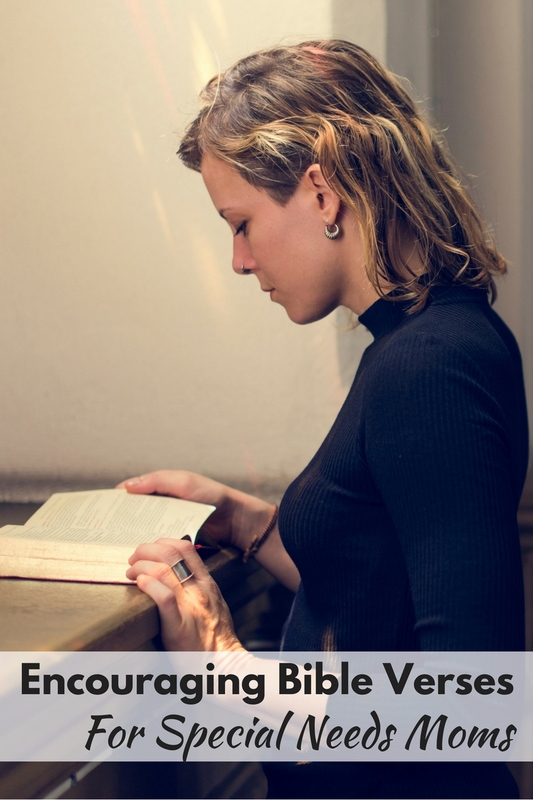 And frankly, it can be hard to want to read and study your Bible when you’re going through everything. It is perfectly okay to be upset. I know that every child is an absolute gift from God. 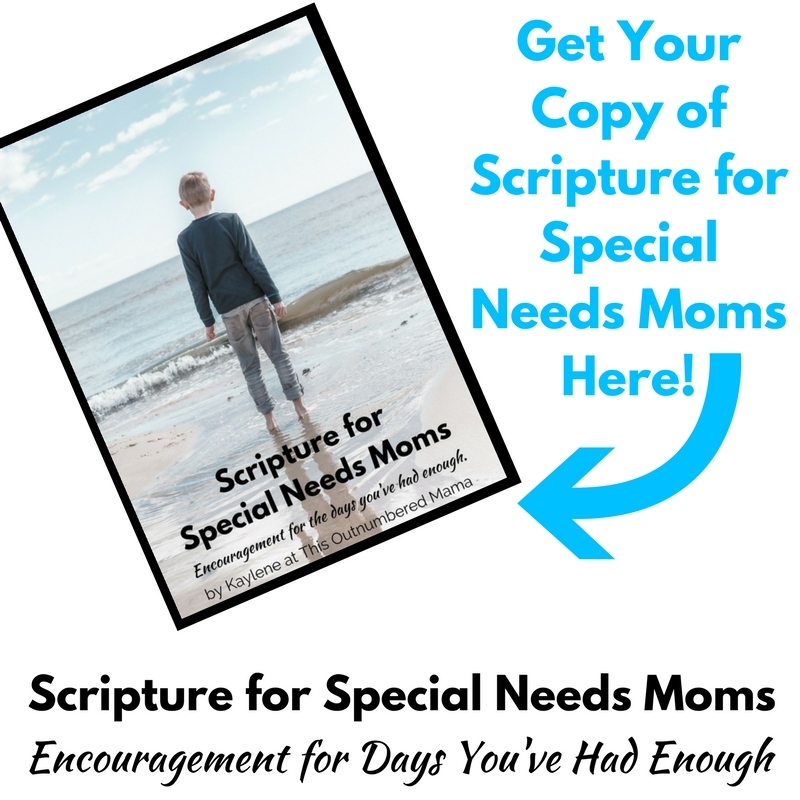 I know that my children’s disorders, disabilities, and special needs all came directly from Him because they were created for a specific purpose. But it is still okay to be sad about it sometimes! It’s hard work. It can be devastating watching your child struggle so much with something that other children pick up with ease. It can be heartbreaking to see your friend’s child meeting milestones months or years earlier than your child. It’s okay, we’ve all been there. With that said, we definitely shouldn’t shut ourselves down and neglect our faith in our time of troubles. God wants us to come to Him in our good times and bad, when we’re thankful and when we’re devastated. In those times, when I’ve been so angry or hurt or upset, these are a few Bible verses that helped to get me through it. Hopefully, they will bring you some comfort or peace like they have for me. This verse gives me such encouragement when I’m struggling with the issues that A-Man and Baby M are facing. They were fearfully and wonderfully made. God made them knowing the struggles that they would face. He designed and created them exactly as He knew was good and perfect and “wonderful”. ‘Neither this man nor his parents sinned’, said Jesus, ‘but this happened so that the works of God may be displayed in him'”. 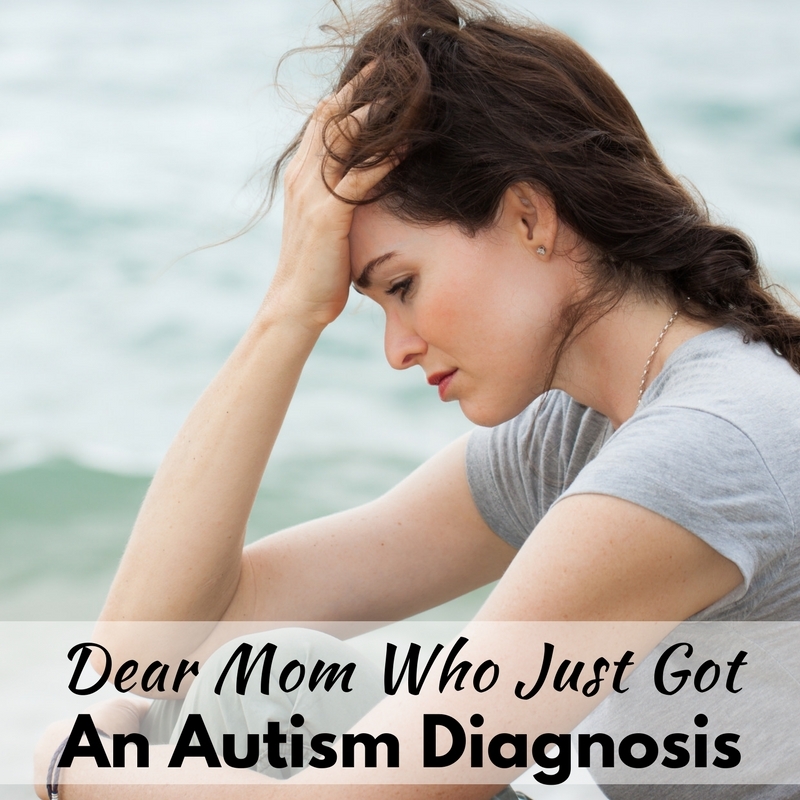 When you receive the first diagnosis, it can be really difficult not to blame yourself. You question what you did wrong in your parenting or your life that may have caused this for your child. You didn’t do anything wrong, mama. God designed your child exactly as he is. Your child has a purpose, and I pray that the works of God are displayed in our children every day. With special needs children, it can be very difficult to try and find a “why”. Did we do something wrong during pregnancy? Should we have done something differently when he was born? This puts those fears to rest [at least for a while..] because we can trust that they were designed this way specifically by God. This Bible verse is a reminder to me that God is in control, and we can lean on Him and trust in Him. This post has been such a hit that I decided to make some printable verse cards for you! There are eight verses in total that you can print out and place around your home to encourage you during those tough moments. 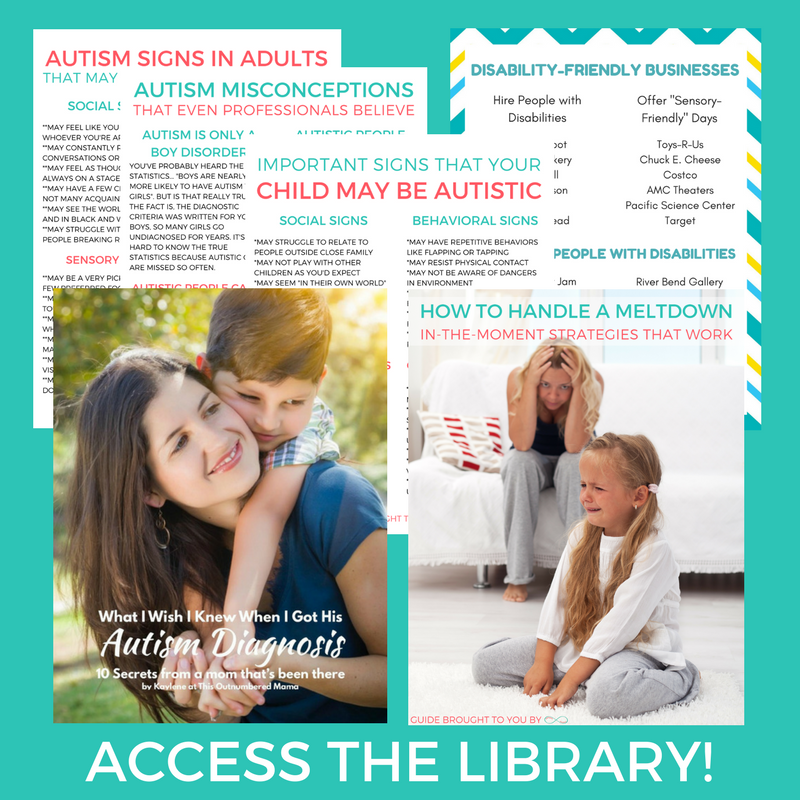 Fill out your info below and you’ll get access to the resource library that has these printables along with others! And above all else, you’ve got this mama, you really do. « 5 Hacks for Keeping Your Kids Healthy and Happy! You are so right! I can’t believe that I missed that one. Thank you for sharing with me! Doesn’t it just give you such comfort that our futures are planned and in God’s hands? Yes it does!! God is good !!! Joshua 1:9 would work well. Oh that is a wonderful verse. We are called to be strong and courageous which can be very difficult when facing different diagnoses. Thank you for sharing, Anna! The verse from Leviticus is a great one for teaching tolerance! Beautiful! I agree that we are all created witha purpose, and it may be hard or even seemingly impossible to determine our own or our childrens’purpose. Then again, it doesn’t require consciously knowing what exactly God is doing in our lives, as long as we know that He is working in us. That is so true! I think it was Martin Luther King Jr who said that we don’t need to see the whole staircase, just the first step! We need to know that God has a perfect plan for us, and as long as we are taking steps in faith of His direction, we will be fine. Thank you for sharing! Oh that is a great one! So glad you liked the post! Thank you for the inspirational notes…..I really needed it! My youngest son is special needs and I get so warn out and need a scripture and prayer just to make it thru another day. Ya got some for the mom of a special needs kiddo. That was born perfectly healthy but then because of the malpractice of a Dr. that was ripped away and now I have a brand new child with numerous issues. Cause this happens in 2006 and I’m still mad and angry at the entire situation. I HAVE A 40 YEAR OLD DAUGHTER WITH CP. . I work at a Pregnancy Center and we see mom that have babies with special needs. Love all the vereses . Whatsoever you do unto the least of these, so you shall do unto GOD. That is a great one, Jason! You have no idea how much I needed this. Thanks for providing me with inspiration! Oh Ashley I’m so glad that you found it encouraging! Thank you for taking the time to set up this post, especially when you are so busy caring for your children. God gave me great comfort from the Ex 4:11 passage. My uncle with extensive mental and physical needs is currently dying as a result of aspiration pneumonia. My heart is breaking and I needed God to confirm to me that He was able to save my dear Uncle not matter the extent of his disability. My heart aches as I cry to God that He will indeed take my Uncle home to Heaven where he will no longer be bond by these limitations but have a new body that is whole, perfect and complete, no more tears and suffering. Ex 4: 11 has brought me great comfort that God is indeed in control and in his sovereignty He created my Uncle with these special needs. Therefore my great God will have had a plan to reach my Uncles heart/spirit so he could receive the gift of salvation. So again I can put my total trust in and lean on God. Sir or Ma’am. I WILL PRAY FOR YOU! Nobody said GOD caused these! NOBODY! God, created US ALL in His image and Jesus Christ died for EVERYONE! This is a slap in the face to me, and because I am a God fearing woman, I will not say what I really want to. I will ask for my forgiveness for those thoughts. Nobody ever wakes up and says, “Gee I want a kid with special needs.” I asked my Heavenly Father for all 3 of my pregnancies for healthy babies, 10 fingers, 10 toes, no health issues…I also would say I know thy will is thy way.” I had my son who has Down Syndrome when I was 23, he was diagnosed at 2 weeks after birth. I was devastated, however my son was healthy and still is, save for thyroid and a life-long gluten free diet. I am currently being led on my path for a calling many can’t handle. I am going to be a teacher, dually certified in general and special education, then working my way on up to be a principal. The Lord doesn’t look on the person’s appearance, but on his or her heart. It’s what it is on the inside that counts, remember that. You have an amazing outlook on life, thank you so much for sharing these awesome verses. I loved how you said that it is ok to be sad sometimes because it is, but you definitely need to direct those feelings towards talking and spending time with God. Hi, thanks so much for your post! It was definitely encouraging and uplifting. I am a mom of 7 year old with downs syndrome. She her good days and toughs and so do I. These scriptures reminded me that I did do anythong wrong and that my daughter was created this way for a specific purpose. Thanks once again and God bless you!! Hi, Im sorry about the mistakes in my previous post. I meant say that my daughter has her good days and tough days. Im thankful to be reminded by the scriptures you posted that my daughter was born this way for a specific purpose and she’s not a mistake but a miracle. We are thankful to have her in our lives! Thanks once again! We use John 16:33 for our daughter’s journey with CP and microcephaly. Thank you Kaylene for sharing this encouraging Bible verses. I am teary eyed right now. 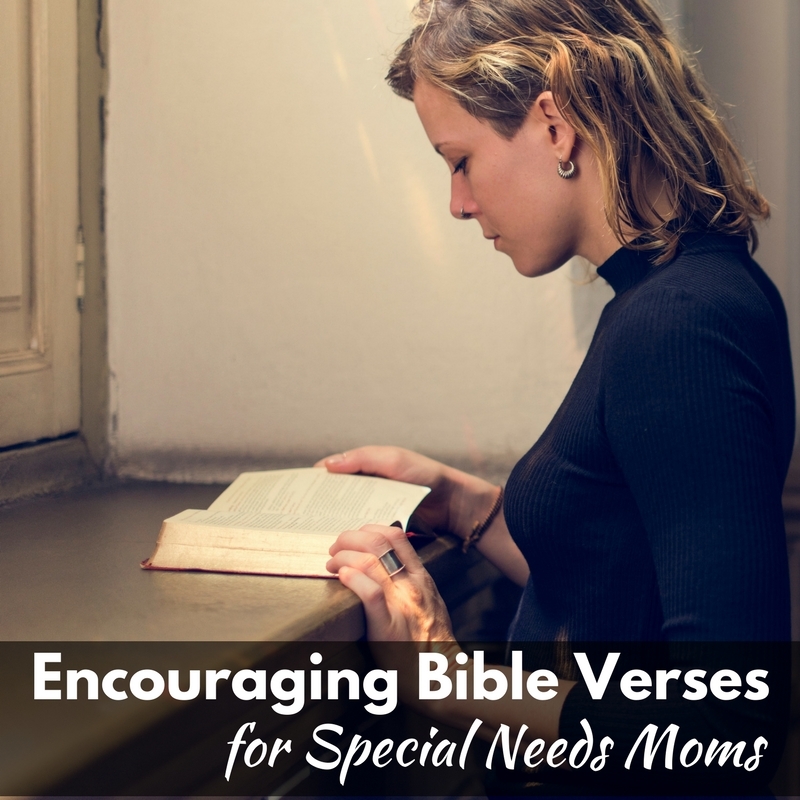 I stumbled on this post while looking for verses for children with learning disability. My son is challenged in thus area and we are looking for the best options to help him. It is hard not to blame yourself but I choose to trust God to guide us and handle the situation working out his plans for him. God bless you. I am a Special Needs teacher, and while I cannot proclaim to ever know the struggles you face as parents, these verses have helped me as well. It’s difficult for us too, seeing the students day in and day out, and not knowing what our next step should be. Thank you for sharing! What would you say to a mom still struggling 14mths after her baby was born via emergency c section, but staff didn’t suction thick meconium properly resulting in seizures and sever CP? I’m so angry that the right people weren’t there to take care of my baby properly!!! I love this, Kaylene! Gonna share it with my network! Blessings! Keep on keepin’ on, Sister! A loving but truly heartbroken & spirit bruised mom who struggles daily, moment by moment, mom of an outstanding ASD (right now non-verbal) 6 year old son. I have an awesome & dedicated husband who I feeling so much love from in someways but because of his teaching in the church that we are not to label or claim ASD. So I struggle that I’m ok with a child with special needs, I know that he truly is a gift from God. And he has a purpose. But what I struggle with is the fact that day to day. Moment by moment I have to deal with our sons difficulties in daily living due to what I claim as ASD. It’s so hard to not be in agreement that we $ our son struggles. My husband in so many ways believes that his miracle will come. But my doubt I feel blocks the blessing. It’s only because I am the one who is with our son the most. I should not complain. Forgive me. Your article & verses truly helped me in a difficult & tearfilled time. My husbands religious upbringing does not allow for crying or really any complaining so thank for this brief listening ear. It truly has lifted my spirit to be redirected back to God. Because all things are possible if we trust Him. I know the plans he has for us are for good and not of evil. We are wonderfully and fearfully made. Lo I am with you even till the end of time. So many encouraging scriptures. Thanks for sharing. Thank you for your verses. I held on to Psalms 139:14 during my pregnancy and would read it to my daughter the whole pregnancy. I found out she had Down syndrome around 4-5 months and continued to stand on this scripture as I did with my older daughter.. I also relied on Ephesians 3: 14-21: 14 For this reason I kneel before the Father, 15 from whom every familyin heaven and on earth derives its name. 16 I pray that out of his glorious riches he may strengthen you with power through his Spirit in your inner being, 17 so that Christ may dwell in your hearts through faith. 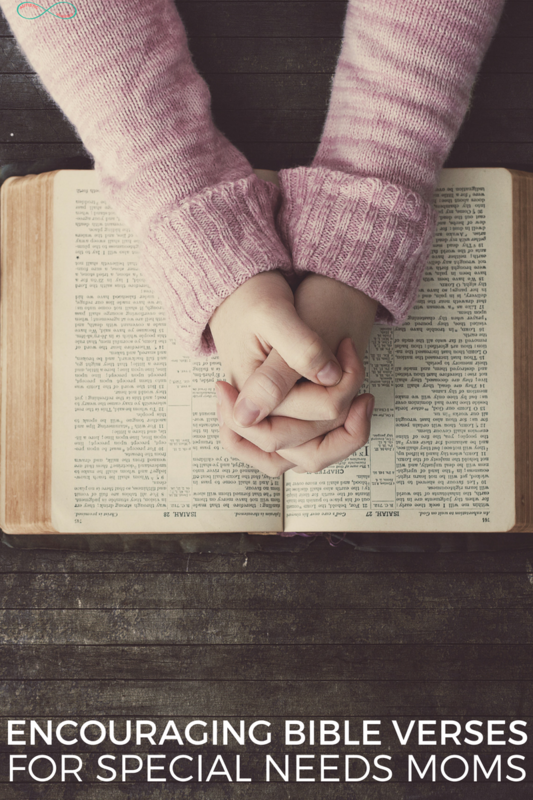 And I pray that you, being rooted and established in love, 18 may have power, together with all the Lord’s holy people, to grasp how wide and long and high and deep is the love of Christ, 19 and to know this love that surpasses knowledge—that you may be filled to the measure of all the fullness of God. Thanks Kaylene for your encouraging words. It has also been a tough journey for me and I kept asking God if I wasn’t bei punished that my son was made this way. I know that God has not punished me and He will use our little boy for His glory one day. I will keep conokg back to this page when I have my days of total feelings of defeat. It reminds me to soak in God’s word and that there are other mums who are also fighting their own battle. Lastly, to all mums, Remember no matter what we go through, our little ones are little warriors, who battle each and eveyday. They will overcome. Jeremiah 29:11. My son has autism and is very violent towards me, he will be 21 in 2 weeks & he was placed in a group home when he was 15. I live with so much guilt for having to place him, I know I was protecting my family & did what was right but I can’t let go of the guilt. Thank You for this post. I have a 48 year old special needs son, who is regressing. Early in his life his diagnosis was just slow learner. Now the doctors are saying cp and a possible diagnosis of a spine condition that may leave him bed ridden and blind (I’m praying this diagnosis is wrong) I have lived with guilt all these years. Now as we all get older we are faced with leaving him behind. Just going on a short get away is hard. I realize I won’t live forever but it hurts to think he will feel lonely and abandoned. His siblings are estranged and his fathers side of the family though they love him don’t get involved. All this to say your web site has given me a lot to hang onto. It has given me a lot of strength. Thank you, Kaylene! These verses (and those others have suggested) are perfectly timed! So thankful what you do and communicate to the rest of us…we are blessed beyond measure with your website!